Working collaboratively to make our community a healthier one. Our expert medical team is looking for you! Premier Medical Group is the largest multi-specialty physician practice in the area, serving Montgomery and surrounding counties in Tennessee and Kentucky. Our 36 physicians and 15 full time, non-physician providers offer Family Medicine, Internal Medicine, Pediatrics, OB/GYN, Otolaryngology, and Occupational & Travel Medicine. Premier’s growing Clinical Research department offers more options for patients and opportunity for physicians to voluntarily participate in the studies. With 320 dedicated professionals, the group offers the conveniences of walk-in clinics, extended hours, seven days a week availability, and on-site Lab and Imaging. Our vision to maintain independence as a physician owned and governed medical group engenders satisfaction for our patients, employees and providers. This model uniquely allows our physicians to concentrate on clinical practice while providing the opportunity to be involved in leadership. Population Health is a top focus at Premier. We have dedicated staff to assist in our efforts to improve quality, reduce costs and improve patient outcomes. This is evidenced by significant success in Medicare Advantage, our local Medicare ACO and commercial health plans. The National Committee for Quality Assurance gives Premier Medical Group its highest level of recognition for processes that focus on evidence-based, long-term, participative relationships. Blue Cross Blue Shield of Tennessee Patient Centered Medical Home 2016. Has recognized Premier Medical Group for Superior Performance annually since 2003. All Premier Internal Medicine, Family Medicine, Pediatric and OB/GYN physicians are board certified. If you are interested in a Physician Practice Opportunity, please review the positions below or contact us today! We enjoy a culture of partners who value teamwork, collegiality and excellence. Our department boasts 14 Board Certified Physicians and 8 Non-Physician Providers who are experienced and successful in population management strategies and quality metrics. Our work is outpatient only; no OB patients or nursing home rounds. A typical schedule is Monday through Friday, 8 to 5, seeing an average of 20 to 25 patients per day. Our week of outpatient call is shared with Internal Medicine – about one in 18 weeks. It begins Saturday at 7 a.m. and ends Saturday at 7 a.m. It is not unusual to have no calls or no more than two. Most physicians enjoy a salary around the 75th percentile of MGMA’s Family Physicians benchmark. Opportunity for significant ACO and Medicare Advantage revenue outside of visits. There is plenty of time to enjoy life outside of work! Enjoy your regular work day starting at 8 a.m. No before work rounds. Plenty of time for getting kids ready for school and having a nice cup of coffee or tea before heading to the clinic. On days that you are on call (about 1 in 10), there is no morning clinic – allowing plenty of time to round on newborns and talk with parents. On days with night clinic, you have the opportunity to help educate and mentor nurse practitioners and physician assistants. Your clinic schedule is intentionally lighter to allow the opportunity for education and to help out if needed. Enjoy a dedicated day off each week to make sure you have a healthy work-life balance. Thanks to Vanderbilt NICU coverage, our Pediatricians do not attend deliveries. Our 7 days a week Pediatrics Walk-In Clinic offers your patients continuity of care when you are unavailable. All Premier Pediatricians are Board Certified. Our department has 4 Board Certified Physicians who are experienced and successful in population management strategies and quality metrics. Our work is outpatient only; no ER or hospital rounds. We share call with Family Medicine – about one in 18 weeks. It begins Saturday at 7 a.m. and ends Saturday at 7 a.m. It is not unusual to have no calls or no more than two. Our OB/GYN professionals serve patients from Clarksville, TN and surrounding areas. We have four board certified OB/GYNs and two non-physician providers. Our clinic is open Monday through Friday, 8 a.m. to 5 p.m.
All physicians are credentialed at Tennova Healthcare (Hospital), which is in close proximity to our clinic. The on-call schedule would consist of 24 hour call every fifth day and weekend call every 5 weeks. A typical call day begins at noon and ends the following day at noon, with that afternoon off. A weekend call begins at noon Friday and ends at noon Monday with that afternoon off. Our physicians have scheduled surgery days at Tennova Healthcare and also at a local surgery center. Each doctor delivers an average of 17 to 20 babies per month, averages 24 to 30 office visits per day, and averages 25 to 30 new OB cases per month. We are happy to have long term support staff in our clinic and low employee turnover. 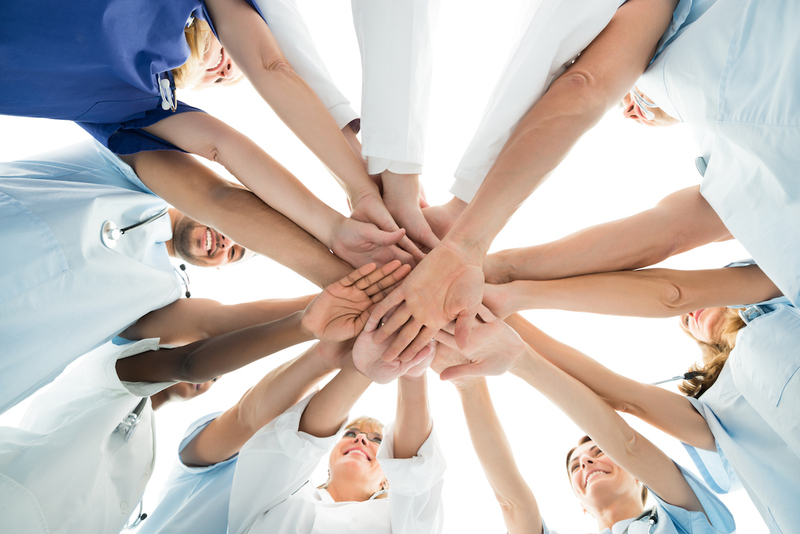 Our entire team works hard to ensure each patient receives quality and compassionate care. Premier Medical Group enjoys a 24-year history in Clarksville, TN, the state’s fifth largest and fastest growing city. Our community is nestled against the Cumberland and Red Rivers that not only provide natural beauty, but also offer an abundance of outdoor recreation and events surrounding them. The “Queen City” is home to other natural interests such as Dunbar Cave and our ever-expanding Clarksville Greenway that is built on former railroad beds and traverses 10 miles. Business is booming as well as Clarksville soon will be home to Google’s 15th data center and LG Electronics. Residents also enjoy a short drive to the Nashville International Airport.